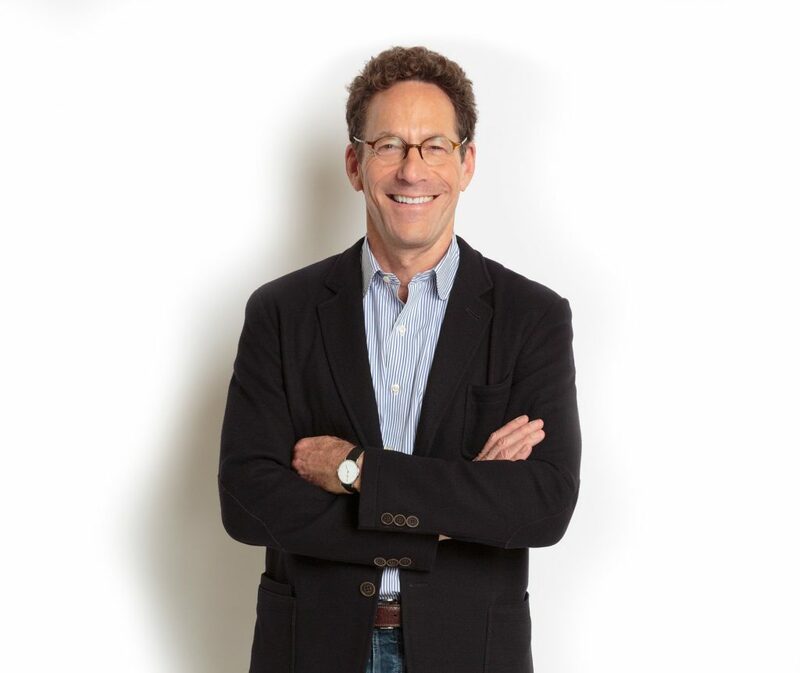 After spotting a gap in the urban residential real estate industry, Alan Mark made the decision to start The Mark Company, a full-service creative consulting firm, in 1997. During its nearly 20 years in business, the company has grown significantly, establishing a well-deserved reputation as a market leader and trendsetter with an impressive roster of high profile clients, not only located in its home base in San Francisco, but also spread across the western United States. We sat down with Alan to talk multifamily building trends, what’s on the horizon for the San Francisco market and the evolution of The Mark Company. BuzzBuzzHome: What first sparked your interest in real estate marketing? Alan Mark: After college, I worked for General Electric in their Financial Management Training Program. I then attended the Johnson School of Management at Cornell University for my MBA, spending a summer in San Francisco for an internship. After business school, I worked for The Wall Street Journal and then joined the New York Times. I always had a passion for building and design, so I started buying and renovating houses in Connecticut and Westchester County in NY. This was my first entry into the industry. When the market crashed, I learned tough challenges quickly. Realizing that the east coast real estate market would take at least 5 years to recover, I decided it was time to finally move back to San Francisco. Prior to starting The Mark Company, I worked as the Marketing Director for Pacific Union Marketing Associates. BBH: Why were you compelled to found your own company? Had you always wanted to be an entrepreneur? AM: I saw the need for a creative, strategically focused, full-service real estate consulting firm that would partner with developers to bring urban residential projects to fruition. I was encouraged to found my company. Starting The Mark Company almost 20 years ago was one of my best decisions. I feel very proud of it. BBH: The San Francisco real estate market has gone through a few cycles since you founded the company in 1997. What has changed the most in the real estate landscape in the city since then? AM: San Francisco is and will always be a desirable place to live. In addition, there is an undersupply of housing due to lack of land and a lengthy entitlements process. That being said, I have watched other trends come, go and come again. Prior to the recession, there were more extravagant grand openings at projects. We devote more marketing dollars to digital strategy initiatives today. A compelling website, strong search engine optimization and healthy online advertising budgets are crucial to the success of projects. We see a higher percentage of international buyers today than ever before. These buyers are vying for a piece of the market and pumping capital into all areas of new real estate developments. Presales have come and gone a few times depending on market conditions. After surviving multiple downturns, I always tell our developer clients to plan for a bad market with lots of competition. Design the best product out there and position it well against the competition. BBH: What are the most cutting-edge trends in building design right now? What are we going to be seeing more of in the next couple years? AM: In multifamily building design, the top trends I see are resort-style amenities: public spaces and amenities designed like a high-end boutique hotel; smart home technology integration: customizable environments for lights, shades, temperature, security, and music accessible via wireless apps; and charging stations: with electric vehicle ownership expanding, stations can be wall mounted to minimize footprint and cars can charge overnight. BBH: The Mark Company’s portfolio has expanded across the western US. What are some of the most exciting new residential projects you’re working on in other cities? AM: Other than our portfolio in San Francisco, we have other exciting developments selling in the downtown Seattle, Los Angeles, and Las Vegas markets. Insignia by Bosa Development in downtown Seattle is the market’s first of its kind, 700 new residences in two towers reaching over 40 stories, topped with a luxury resident lounge on the 41st floor, with sweeping views of the Seattle bay front. In Las Vegas, CIM Group’s Turnberry Towers is a project we took over from another firm earlier this year. In the past six months we have increased absorption by about 50 percent and Vegas buyers are eager to own at very competitive prices. Trumark Urban’s SL70 in the trendy Silver Lake neighborhood of Los Angeles has gained tremendous momentum in 2015 and began welcoming its first residents late last year. BBH: What have you learned most about working with developers in other cities? Have you been able to take any lessons back to SF? AM: I think one great example is the quality that Bosa puts into its developments in every market in which it operates. They don’t skimp on finishes and they have attracted a following of buyers that buy at multiple projects. This loyalty is something San Francisco developers may want to strive for if they have multiple projects in the pipeline and in different markets. BBH: What’s coming up for The Mark Company in SF in the second half of the year? Any new developments in the pipeline that you can give us a sneak peek on? AM: We are fortunate to have brought on many new developments over the past 6 months and we’re looking forward to the next wave of developments to hit the market this year. One Mission Bay is set to launch in early 2016 and will feature 350 units in the burgeoning Mission Bay neighborhood. We have 388 Fulton with 69 homes and 450 Hayes with 47 homes both set to launch in late 2015/early 2016 Hayes Valley. At 70 stories tall, 181 Fremont, will offer 67 ultra-luxury residences over Class A+ commercial space and be the only building directly connected via a skybridge to a new 5.4-acre park atop the adjacent Transbay Transit Center, the new center of San Francisco. BBH: What are your predictions for the SF market in the second half of 2015? Do you see prices plateauing anytime soon? AM: The spring season does historically see the largest increase in month-over-month comparisons according to The Mark Company’s Condominium Pricing Index. Heading into the summer months, San Francisco’s strong job market combined with low inventory levels and historically low interest rates on 30-year fixed mortgage loans have primed the housing market for continued growth. However, if interest rates do increase later this year, as we suspect they will, we anticipate either a slight slowing or more cash buyers and possibly both. To find out more about The Mark Company, visit themarkcompany.com.